I am both passionate about and excited to be practicing in this new era of dentistry. The most satisfying part is creating beautiful smiles for my patients. I get charged at the beginning of every day knowing the positive difference me and my team will make in the lives of people. Patients can become overwhelmed with their new ability to chew and enjoy food or to smile with confidence. These transformations drive me harder to do the best I can for my patients. 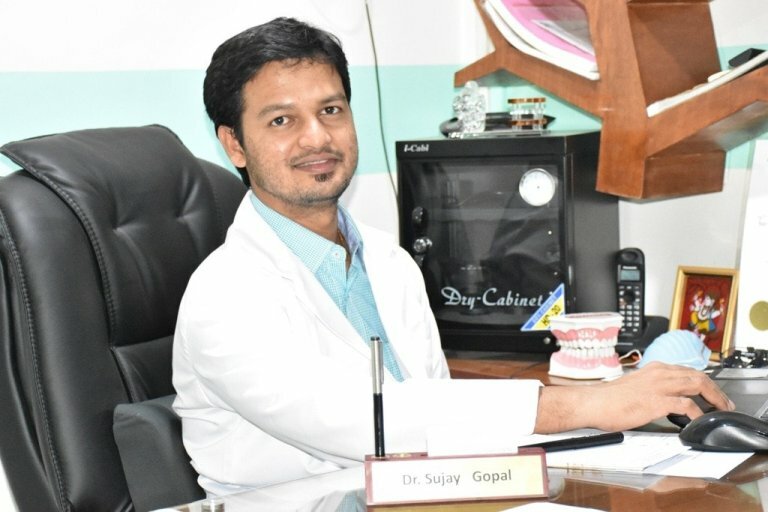 Dental professionals have a duty to keep their skills and knowledge up to date.I have been keeping myself abreast with the latest technology and methods so that I can provide my patients with the best possible care. It also allows me to offer the most up to date , technologically-advanced and comprehensive care available. 2008: Certificate in Esthetic Dentistry from University of MANNITOBA, at IDRR. 2011: Certificate in Implantology from IDEA ,chennai under Dr. MUNIRATHNAM E.NAIDU. 2015: Member and Fellowship from International Congress Of Oral Implantology[FICOI]. Under DrVibha Shetty. At M S Ramaiah University of Applied Sciences. March 2017: Awarded as the ” Best Oral Implantologist in Bangalore – 2017 ” from Blindwink.in – The Market Research Company.